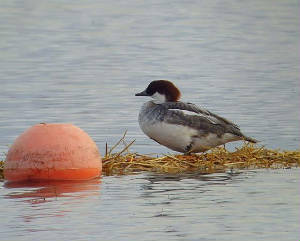 TRAMORE BOATING LAKE: SMEW still present. BALLYNACOURTY POINT: Whimbrel at the lighthouse. 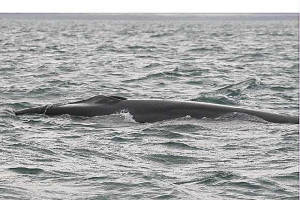 ARDOGINNA (nr Ardmore): Merlin & 2 Fin Whales. DUNGARVAN: 23 Great Crested Grebes off Ballynacourty pier. CLONEA STRAND: 12 Great Northern & 17 Red-throated Divers off Ballinclamper. BALLVOONEY COVE: 1 Great Northern & 33 Red-throated Divers. BUNMAHON: 2 Great Northern & 22 Red-throted Divers. KNOCKADERRY RESERVOIR: 28 Tufted Duck & hybrid Whooper/Mute Swan. 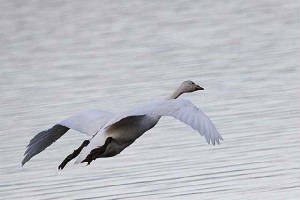 BALLYSHUNNOCK RESERVOIR: 27 Whooper Swans & hybrid Whooper/Mute Swan. COOLFIN/DERRIGAL: Canada Goose, 32 Whooper Swans & 47 Greylag Geese. WATERFORD HARBOUR (I-WeBS count): 69 Great Crested Grebes off Geneva & Woodstown, 2 Great Northern Divers off Fornaght, 42 Brent Geese, & an adult Yellow-legged Gull opposite Cheekpoint (at Great Island on Co Wexford side). 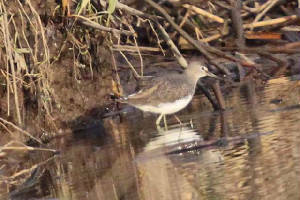 MOUNT CONGREVE (R. Suir): Common Sandpiper. TRAMORE BOATING LAKE: SMEW & 1st-winter Mediterranean Gull. WATERFORD CITY: 2 Blackcaps (male & ringed female), Upper Yellow Road. 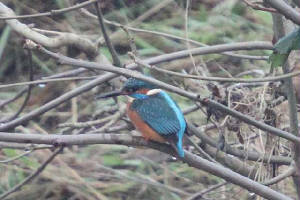 DUNGARVAN: 2 Kingfishers behind Nissan garage on the Youghal Road. WATERFORD CITY: Buzzard flew over. BLACKWATER VALLEY: 2 Green Sandpipers (singly at Camphire Bridge and Cappoquin), 80 Whooper Swans & an Otter at Dromana House. DUNMORE EAST: 6 Purple Sandpipers. 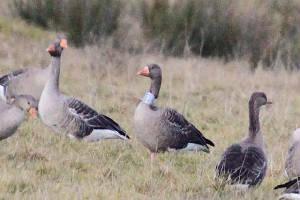 COOLFIN: 150+ Greylag Geese, including neck-banded individual ("NBX"). FIDDOWN BRIDGE: Kingfisher & Otter. DUNGARVAN: Male Blackcap at Strandside, Abbeyside, daily since December. 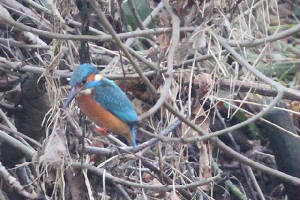 BLACKWATER VALLEY: Kingfisher at Cappoquin; Jay & 2 Otters at Dromana Bridge. DUNGARVAN: BLACK-NECKED GREBE off Ballynacourty Pier. COOLFIN: Canada Goose with Whooper Swans. WATERFORD CITY: Female Blackcap in garden at Collins Avenue. WATERFORD CITY: Male Blackcap & up to 25 Goldfinches present daily in garden at Francis Street; another (female) Blackcap in garden at Collins Avenue. DUNGARVAN: Curlew Sandpiper at Ballyneety, dark-bellied Brent Goose at Cunnigar tip, 800+ Brent Geese inside Cunnigar, 51 Great Crested Grebes & a Great Northern Diver in bay. BLACKWATER VALLEY: Male Green-winged Teal & 2nd-winter Mediterranean Gull at Villierstown; Buzzard; Yellowhammers at Camphire (6), Newport East (2) & Ballinvella (1). 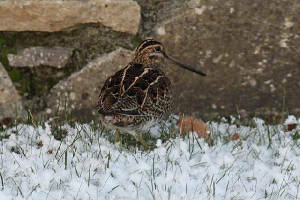 BLACKWATER CALLOWS: 3 Shoveler; also a Dipper at Ballynerroon East. 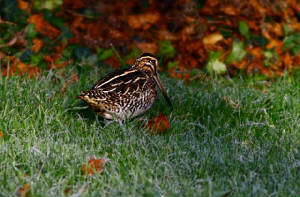 KNOCKADAV (Knockmealdown Mountains): 3 Woodcock & a Red Grouse. RINCREW: Adult Yellow-legged Gull & 1st-winter Iceland Gull on Cork side. 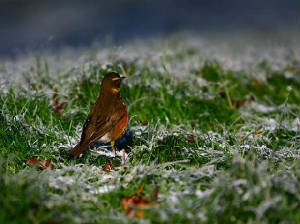 DUNGARVAN: Male Brambling in garden, Abbeyside. 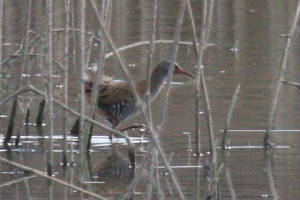 TRAMORE: Buzzard & 2 Gadwall at Boating Lake, another Gadwall off Saleen. BALLYDWAN BAY: 4 Red-throated Divers. CLONEA STRAND: 30 Red-throated & 16 Great Northern Divers, 4 Purple Sandpipers & 40 Sanderling. DUNGARVAN: BLACK-NECKED GREBE in the bay, Whooper Swan at Ballyneety. WATERFORD CITY: Black Redstart at the Courthouse. DUNGARVAN: Male Blackcap & 6 Siskins at Abbeyside. RINCREW (Tourig estuary): 2 adult Mediterranean Gulls. BLACKWATER VALLEY: Male Brambling near Villierstown school; Buzzard. TRAMORE BACKSTRAND: 665+ Brent Geese, 4 Shoveler, 200 Mallard, 1st-winter Mediterranean Gull (at boating lake) & 165 Lesser Black-backed Gulls. EAST WATERFORD: 2 Buzzards south of Waterford city. 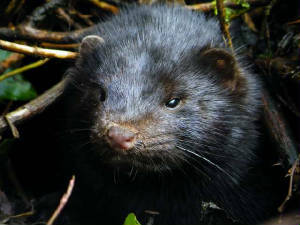 DUNGARVAN: Otter feeding in the harbour, last four days. 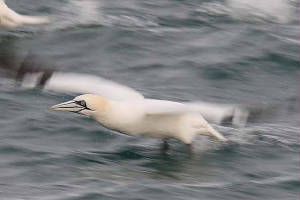 Off DUNMORE EAST: 4 Fin Whales and associated feeding seabirds including 60 Gannets & 100+ Guillemots. DUNGARVAN: 1st-winter Glaucous Gull at the Cunnigar. VILLIERSTOWN: Brambling just below Villierstown school (& for past week). DUNGARVAN: BLACK-NECKED GREBE & Common Scoter in the bay; BLACK BRANT & Merlin at Ballyneety; Curlew Sandpiper opposite the Park Hotel; Brambling in garden at Clonea Road (& for past week). 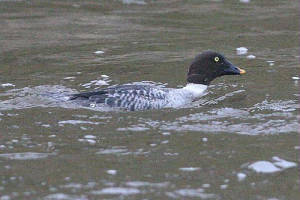 TRAMORE BOATING LAKE: Female/immature SMEW& 1st-winter Mediterranean Gull. 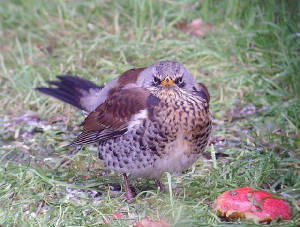 BLACKWATER VALLEY: Merlin at Newport. DUNGARVAN: BLACK-NECKED GREBE & Common Scoter in the bay, 2 Jack Snipe at the Cunnigar. TRAMORE BOATING LAKE: Female/immature SMEW, 2 Gadwall (male + female) & 1st-winter Mediterranean Gull. BRIDE / LOWER BLACKWATER: 76 Whooper Swans at a new site in field c1 km west of the usual Camphire site, missed on last weekends counts. BLACKWATER VALLEY: Green-winged Teal at Villierstown Quay. WHOOPER SWAN SURVEY: Total of 217 Whoopers at sites within Co Waterford, plus a further 88 at adjacent sites in Cos Kilkenny or Cork - further details below. 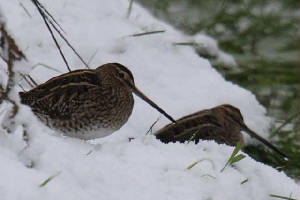 KNOCKMEALDOWN MOUNTAINS: Hen Harrier; 8 Crossbills at Knockaunabulloga near the Vee; Woodcock & Dipper at Boggaghdaun. 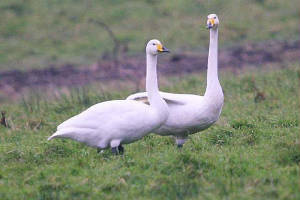 BRIDE / LOWER BLACKWATER: Only 2 Whooper Swans at Camphire (126 there on 28 Dec 2009); 4 Whoopers west of Tallowbridge. 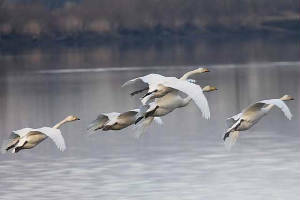 BALLYNABOOLA (nr Halfway House): 3 Whooper Swans in flooded field, a new site for the species. TRAMORE BOATING LAKE: Female/immature SMEW & adult Mediterranean Gull. DERRIGAL / PORTNASCULLY: 15 Greylag Geese, 5 Whooper Swans & 2 Greenshank. COOLFIN: 93 Greylag Geese & 11 Whooper Swanss. 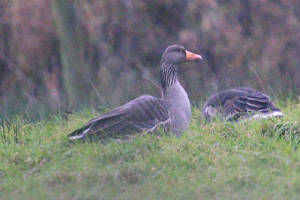 TIBBERAGHNY BOG (Co Kilkenny): 180 Greylag Geese & 55 Whooper Swans. BLACKWATER CALLOWS: 100 Whooper Swans & 4+ Shoveler upriver from Lismore. RINCREW: 1st-winter Iceland Gull, adult Yellow-legged Gull & 2nd-winter Mediterranean Gull (green darvic ring on left leg). CLONEA STRAND: 9 Great Northern Divers. 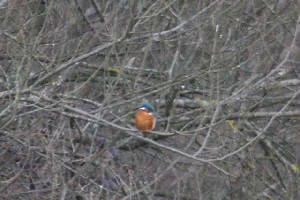 BUNMAHON: 2 Kingfishers at River Mahon. Nr PORTLAW: 19 Greylag Geese & 9 Whooper Swans. DUNGARVAN: BLACK-NECKED GREBE & 11 Shoveler off Pitch & Putt Course. DUNGARVAN: BLACK-NECKED GREBE off the Sports Centre, 12 Shoveler off the Pitch & Putt Course, adult BLACK BRANT in fields at Western Bay, male Gadwall at Ballyneety Bridge, male Pochard between pond and Dungarvan castle. 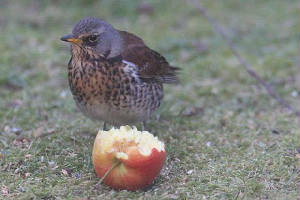 WATERFORD CITY: 2 male Blackcaps , 9 Redwings & a Fieldfare at Francis Street. FERRY POINT: 3 female/immature Black Redstarts. Nr WHITING BAY: 12+ Tree Sparrows at Springhill Lower. DUNGARVAN: 3 Barnacle Geese at Duckspool, Abbeyside; 4 Tufted Duck & 2 Great Northern Divers off Abbeyside Church; 4 Shoveler at Killongford; 1st-winter male Common Scoter off Gold Coast Hotel; female Blackcap, 10+ Redwings & 2 Fieldfares at Southways, Abbeyside; 2 Blackcaps (male & female), 10-20 Redwings & a Fieldfare at another garden in town. CLONEA STRAND: 2+ Whimbrel & 7 Purple Sandpiper at Ballinclamper. 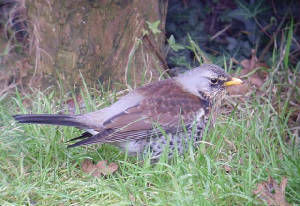 WATERFORD CITY: 12 Redwings & a Fieldfare in garden at Collins Avenue; 10-12 Redwings in garden at King's Channel. DUNGARVAN: Black Redstart at GlaxoSmithKline. 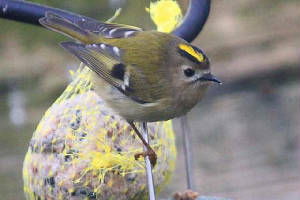 WATERFORD CITY: 2 Blackcaps (male & female) & 13 Redwings in garden at Upper Yellow Road; male Blackcap in garden at King's Channel (also on 6-7 Jan). 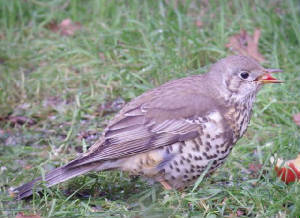 VARIOUS SITES: Obvious arrival of Redwings into gardens today (also including c6 at Abbeyside, Dungarvan, 7 at Francis Street and 1 at Collins Avenue,Waterford city) and in recent days (including Tramore on 5th and St Herblain Park, Waterford City on 7th Jan). 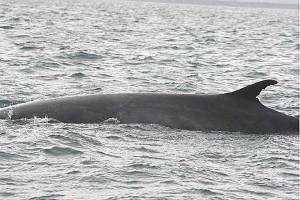 RAM HEAD: 3+ Fin Whales & 20 Common Dolphins. 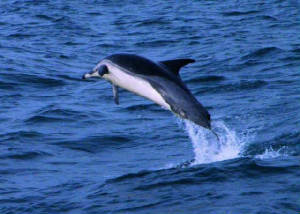 HELVICK HEAD: 60 Common Dolphins, 4 Red-throated Divers & an unidentified large falcon. DUNGARVAN: Apparently the same large falcon as at Helvick, also seen at Clonea Road; male & female Blackcap at Strandside, Abbeyside. 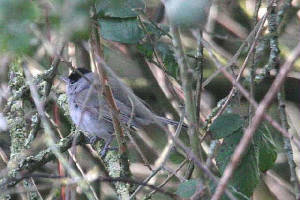 TRAMORE: Several Blackcaps daily since 18th December. WATERFORD CITY: Female Blackcap still present at St Herblain Park. DUNGARVAN: Male & female Blackcap daily at Strandside, Abbeyside. WATERFORD CITY: Blackcap & Lesser Redpoll in garden, Francis Street, and up to 3 Blackcaps at bird-table there daily for the last 3 weeks. 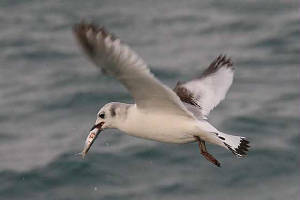 TRAMORE BOATING LAKE: 1st-winter Mediterranean Gull. 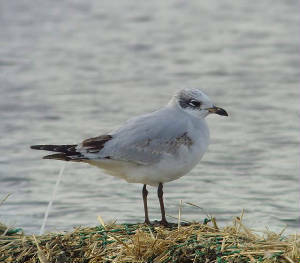 DUNGARVAN: Colour-ringed Black-headed Gull ("238B", yellow, left leg) at Gold Coast, ringed at Lough Mask, Co Mayo in 2007) (previously seen at Ballinclamper, Clonea in July 2009). Also a colour-ringed Bar-tailed Godwit at same location, ringed at De Richel, the Netherlands, 30 July 2003. ARDMORE: Adult Mediterranean Gull on beach. WHITING BAY: Common Scoter flew east; up to 30 Tree Sparrows at Ballysallagh. FERRY POINT: 3 Black Redstarts. DUNGARVAN: BLACK BRANT & 3 Barnacle Geese at Ballyneety; Common Scoter the bay; Kingfisher & Green Sandpiper on the River Brickey at Kilongford; Whimbrel at Knockanpower Lower, Ring. CLONEA STRAND: Purple Sandpiper at Ballinclamper, 6 Red-throated Divers offshore. BRICKEY RIVER: Dipper near Two-mile Bridge. DUNGARVAN: BLACK BRANT, 3 Barnacle Geese & female Merlin at Ballyneety; BLACK-NECKED GREBE in the bay; male Blackcap at Strandside, Abbeyside; Whimbrel & white darvic-ringed Oystercatcher ("N57") at Knockanpower Lower, Ring. The Oystercatcher had been ringed as chick on the roof of Aberdeen Cricket Club, NE Scotland on 31 May 2007. WATERFORD CITY: Male Blackcap in garden at King's Channel.